Comments are one of the most important factors in building relationships with other bloggers. But they are also amazing in getting traffic and in building your credibility as a blogger. I don’t remember who, but someone told, that “comments are blood of the blogs”. And I agree with that statement. What’s more, these days comments are even most important, than some years (or even months) ago. You should have comments to prove, that your site isn’t dead. On the other hand, comments on other sites, which link to your blog, help you in SEO and getting traffic to your blog. If you don’t believe me, please let me give you simple example for it. This blog, NoPassiveIncome.com is relatively new blog. I started it on the beginning of this year, but in reality, I concentrate on it since one month. To have a lot of visitors and huge traffic, creating quality content isn’t enough today – you must promote it. And since one month, I’m adding each day at least few comments on blogs related to mine. You may ask – is it working for you? For me it is. For example on 1st May my Alexa rank was about 8 000 000. Now it’s about 1 500 000. Maybe it’s not first 10 000 (where I want to be in May 2013), but the range of growth is enough for me. The amount of visitors is also growing each day, and some of them are making comments on my blog. Nice, because one of my goals for this blog was, and still is, building my credibility in “English-speaking blogosphere”. And you build your credibility as a blogger for instance via creating relationship with other bloggers. Of course there are always pros and cons of simplifying your comment system. If your site is easy for commenting for users, it’s also easy for commenting for spammers. But you could use some tools or plugins to fight with spammers – for example Akismet It’s very simple to use, and for noncommercial use it may be even free of charge. Top Commentators is also a plugin for WordPress, which award your most active commentators. You may set here, how many top commentators will be shown, what is your “reset period” or if your links will be dofollow or not. For this blog, I set this plugin to show top 5 commentators, with dofollow links, but only on homepage. And how do you comment on other sites? Or maybe you have your own magic formula, in getting a lot of comments? Please describe it below. But it’s not the case – if you comment so much, maybe you should interact with them too – write guest post for them, retweet their post, email them – it should work. please try with smaller blogs – Problogger and Dailytips are A Blogs. 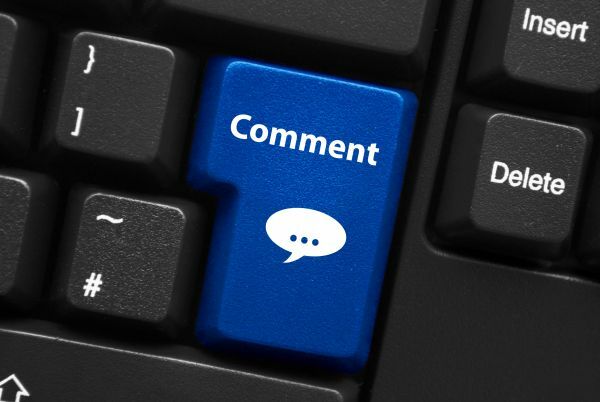 is commenting better than being a guest blogger? Hi Maria, thanks for commenting. In my opinion, you should start with making comments on other blogs. But guest blogging is the next step of interacting with other bloggers. Thanks for the valuable information. I’ve been learning so much from reading blogs like yours. Now I am starting to learn more things on blogging and SEO etc..Keep it up! Thanks! Ric, thanks for the comment! Hi Christ, I love to read your articles. Especially this one. After reading this, I then reflect to myself that I am still not good in blogging. Why? because I was lazy to comment. But Now, I will try my best to show to the world that I am a Blogger. Great post! I totally agree that comments help to build credibility for a site. I like the statement “comments are the blood of blogs”, very true and a good way to show that your blog is active. I agreed with you. Commenting helps to earn the huge traffic.But it happens only when the comments approved. So always a risk factor of the time wasting.Can you tell me some more better ways of the commenting. leaving comments in once blog /website is like leaving trails so that somehow, one way or another, some visitors of that site may pick up the trail that leads to your site. I have known this to be a very helpful to bloggers who wants to increase their traffic. Thanks for your comment, Lawrence. I can talk about getting more comments all the day 😉 Okay I just want to add one simple tip on getting more comments here, try to auto approve comments on your blog. If you’re worrying about spam, use GASP. I hope this will be helpful for you! Hi Tarun, thanks for stopping by. If you have to choose only one – I’ll recommend you CommentLuv. But in the mix they work very good. This is very true and we can’t ignore the benefits of commenting on other blogs as well as getting comments. I do agree with your tips here. While writing posts, we too need to make it easier for the people to comment. Very nice and neat post! Yeah, i know the benefits of blog commenting! I wrote a guest post on blog commenting. I am enjoying genuine traffic with my comments, as I love to read and leave my comments. I like the point ” don’t comment, if you don’t know what to say”, Yes, the bloggers should not reply to comments with single line and with irrelevant information. Thanks for sharing the useful stuffs here, will try to follow all the ways which you listed here to build my credibility. So, after a year, how do you rate the two plugins you tried? Getting people to comment at my blog is not easy even when I use a CTA. I am wondering if that is because my subject matter (tax law) is technical and people are afraid to jump in with comments. Do you think this could be the case? If so, what should I try to do to increase comments? It is right if you have nothing to say so don’t comment. But if you like the blog so I think you should appreciate for sharing their knowledge.